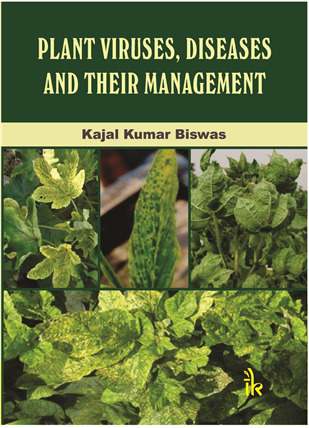 Plant Viruses, Diseases and Their Management by Kajal Kumar Biswas | I.K International Publishing House Pvt. Ltd. The book is a praiseworthy attempt, comprehensively covering the theoretical and practical aspects of plant viruses and diseases caused by them. It provides a thorough insight into the molecular aspects of the pathogenic behaviour of the plant viruses and their management. Viruses are (economically) very important for most food & commercial crops worldwide. Plant virology as a subject is being taught & researched very much in India due to colossal economic losses to many of the commercial crops. Certainly the book would generate sufficient interest among the readers (Students & teachers) on fundamental and advanced aspects of plant virology besides providing an essential understanding on molecular biology of plant viruses and diseases. Discipline of plant viruses has developed exponentially in the recent few decades due to our recent understanding of their genomics. Development of techniques allowing us to clone the viruses for manipulating their genome, integrating required sequences to learn the behavior of the viruses/virions within the host. According to the World Intellectual Property Organization (WIPO), for the first time, in 2011, the total number of patent applications filed worldwide exceeded the two million mark and the growth rate exceeding seven percent despite the fragility of the world economy. Among the countries, China tops the list as the world knowledge and innovation leader, with over 7 lakh patent application, well over twice the number in the USA, which is in second place. India’s place is in tenth in the global patent list is with merely 40,000+ patent applications in a year (Table 1). According to the Office of the Controller General of Patents, Designs and Trademarks, the trends of last seven years in respect of filing of patent applications that out of the total patent applications filed, only 17% could succeed in getting registration with the patent office. This text book targets the entire curriculum on Plant Viruses at graduate and postgraduate levels in agriculture, botany, entomology, molecular biology and biotechnology, as well as a ready ( helpful ) reference for the scholars/ Faculty doing research work or teaching about plant viruses. Our understanding of the plant viruses improved very much because of latest developments in molecular biology with research on most aspects, mainly replication and interaction of viruses with their host & vectors. It provides an up to date knowledge of the plant viruses or plant virology at length and for basic understanding of their molecular biology. This book is well planned comprising 19 chapters, as per contents listed below, arranged in a logical progression for sequential & systematic learning. The text is supplemented with numerous well-labelled diagrams and appropriate color plates. The book extensively introduces the history of plant virology, the molecular components of plant viruses, their nature and the symptoms invoked by them and physiological changes caused in the infected plants (Ch 1-3). The genome structure and organization and architecture of the virus is also dealt in detail (Ch 4 & 5) while various sub-viral agents like viroids, satellite viruses and DNAs, defective interfering DNA or RNAs in the same chapter. For logical reasons & continuity, it also covers Phytoplasma and Spiroplasma (Ch 6).An overview of the present classification and the rules for writing the names of taxonomic entities is described in detail ( Chapter 7) however, Chapter 10 deals with the description of each group of viruses so that the readers get a clear idea about the biological and molecular properties of the virus species, genera, family and order; describing briefly on the major properties of the viruses, including their taxonomic position, biology, particles, and genomes. Details about gene expression strategies, function of virus genes, replication of RNA and DNA viruses, molecular mechanism of virus movement and distribution in the plants are presented in Ch 11-13. Description of mechanisms for evolution of plant virus strains, and different criteria for determination of the strains are detailed (Chapter 14). The Chapter 15 deals with identification, isolation and purification procedures for viruses and their detection through biological and molecular methods. This chapter also provides information on virus antigens and antibodies, recent developments in antibody production, different forms of ELISA, and information on the recent developments of several protein- and nucleic acid-based diagnostic methods and their technological advances. It also includes /describes the latest diagnostic techniques in plant virology like ELISA, electron microscopy, DIBA, nucleic acid hybridization, etc. This chapter also highlights enormous versatility and significant use of polymerase chain reaction (PCR) and its different forms. Diseases in India and neighboring countries, their symptoms, nature of virus(es) and spread as well as their management are dealt with in Chapter 17. Further, Chapter 18 is devoted to miscellaneous general information on strategies for management of viruses in crops, natural resistance, biotechnological approaches of pathogen-derived resistance, RNA-mediated resistance, genetically engineered resistance etc. Advanced techniques in plant virology for detection, characterization and nucleotide sequence analysis of the viruses are also dealt with in Chapter 19. In view of the above facts, the present book provides clear insight about general and molecular aspects on pathogenic nature of the plant viruses. References are also given to enable the students to acquire even further more information on the targeted viruses & related matters for studying them professionally. Summing up, the book is very impressive from the point of contents, presentation and quality of production. Therefore I recommend every student for having a personal copy to use. I have gone through the book read every chapter and the pages. The book is wonderfully written comprising fundamental of the subject and latest up to date information related to various plant diseases caused by viruses and their management. 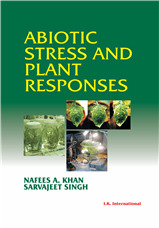 This book is would serve as a reference book to post graduate students pursuing their master degree in Plant Pathology. 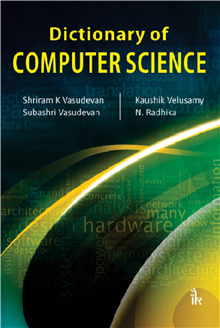 I also observed that the book is equally useful to researchers. I at my personal level would recommend the book to students and faculty members of our University. Recent advances in the discipline of plant virus have been due to several technologies, including the ability to clone and manipulate plant viral genomes, the ability to express viral sequences integrated into the plant genome, and ability to observe the behavior of the virus particle within the host cell. However, plant viruses still cause hazards to many economically important crops worldwide. Interest in plant virology has increased quite significantly in India, as plant viruses cause economic damage to many of the commercial crops every year. The book is meant for graduate and postgraduate students of agriculture, botany, entomology, microbiology, molecular biology and biotechnology, and also for teachers teaching plant viruses. Major changes have happened in the understanding of the molecular biology of viruses and functions of viruses and interaction of viruses with their host. This book provides knowledge of plant viruses or plant virology in general and in an elementary understanding in molecular biology of plant virus. 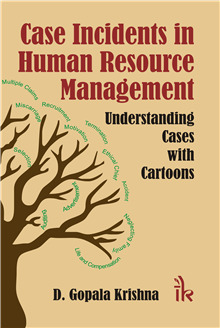 This book consists of 19 chapters arranged in a logical progression for better understanding. The first three chapters introduce the readers of the history of plant virology, nature of plant virus and its symptoms induced by virus, physiological changes in virus infected plant, and the components of plant virus. Chapters 4 and 5 deal with genome structure, genome organization and architecture of the virus. Chapter 6 focuses on various sub-viral agents like viroids, satellite viruses and DNAs, defective interfering DNA or RNAs, and Phytoplasma and Spiroplasma. Chapter 7 gives an overview of the present plant virus classification and the latest rules for writing the names of taxonomic entities. Chapters 8 and 9 describe ways of plant virus transmission by insects, nematodes, and fungi as well as through seeds, and advancements made in understanding the virus vector interaction for transmission of viruses. Chapter 10 deals with the description of each group of viruses so that readers can get an idea about the biological and molecular properties of virus species, genera, family and order; describing briefly the major properties of the viruses including their taxonomic position, biology, particles, and genomes. Chapter 11 to 13 give details about gene expression strategies, function of virus genes, replication of RNA and DNA viruses, molecular mechanism of virus movement and distribution in the plants. Chapter 14 offers a description on mechanisms for evolution of plant virus strain, and different criteria for determination of virus strains. Chapter 15 deals with identification, isolation and purification of viruses and detection of virus through biological and molecular methods. This chapter also provides information on antigens and antibodies, recent developments of antibody production, different forms of ELISA, and information on the recent developments of several protein- and nucleic acid-based diagnostic methods and their technological advances. This chapter also highlights enormous versatility and significant use of polymerase chain reaction (PCR) and its different forms. Chapter 16 deals with plant virus ecology and epidemiology which would provide an idea to manage the virus disease. Chapter 17 is devoted to the description of virus and virus-like diseases in economically important crops in India, their symptoms, nature of virus and its infection, mode of perpetuation and spread, and their possible management practices. This chapter provides an array of information about the virus diseases in important crops in India and neighboring countries. 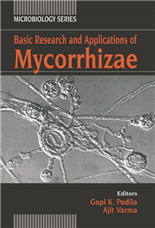 Chapter 18 congregates the general information on various aspects and strategies for management of virus diseases with an overview of natural resistance, biotechnological strategies of pathogen-derived resistance, RNA-mediated resistance, engineered resistance and other aspects of management strategies. Chapter 19 presents advanced techniques provides in plant virology for detection, characterization and nucleotide sequence analysis of virus. The present book insight into molecular route that leads to the pathogenic behavior of the plant viruses. References are given to enable students to acquire even more information on these targeted viruses. Plant Viruses, Diseases and Their Management consists of 19 chapters covering all the aspects of plant viruses, diseases and their management containing information of classical as well as advanced plant virology. This textbook has given information on new advances which are taking place in the fast-evolving field of Plant Virology. It contains different separate chapters on biological and molecular property, composition, morphology, nomenclature and modern classification of plant viruses and their description. 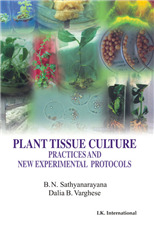 This book includes chapters on identification, isolation and purification, and protein- and nucleic acid-based modern diagnostic techniques of plant virus. The book also deals with ecology and epidemiology and general management strategies of plant viruses. 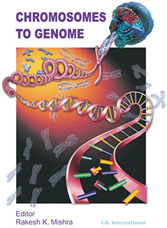 Virus genome organization, genome strategy and gene function, virus replication and virus movement have also been covered extensively and illustrated diagrammatically in an organized way. Transmission of plant viruses by various biological and other means; and molecular mechanism virus-vector interaction has been covered elaborately. This book also includes a large chapter that covers almost all the important plant virus diseases occurring in India and their management. 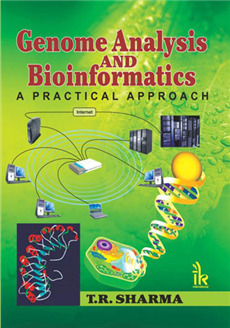 The last chapter contains practical manual and protocols of advanced techniques that will help the researcher and plant virologist. With its focus and coverage, this book serves as a text book for undergraduate, postgraduate students and research scholars in Plant Virology, Plant Pathology, Entomology, Microbiology, Agriculture, Botany, Molecular Biology and Biotechnology. This book will help teachers to prepare lectures for the students in different discipline of biological and agricultural science. Apart from providing information on ecology, epidemiology and general management strategies of plant virus related diseases, the book also includes latest techniques in plant virology like ELISA, electron microscopy, DIBA, nucleic acid hybridization, etc. The book covers genome structure, genome organization and architecture of viruses, gene expression and function, and replication in depth. 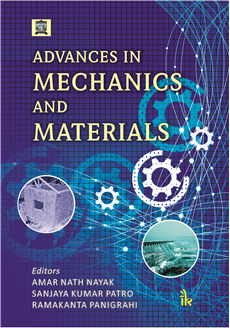 The contents include dedicated chapters on modes of viral transmission through insects, nematodes and fungi as well as through seeds, and advancements made in understanding the virusvector interaction for transmission of viruses. The text is supplemented with numerous well-labelled diagrams and appropriate use of color plates. Kajal Kumar Biswas :- Dr. Kajal Kumar Biswas, presently working as Principal Scientist, Advanced Centre of Plant Virology, Division of Plant Pathology, Indian Agricutural Research Institute (IARI), New Delhi, did his M.Sc (Ag) in Plant Pathology in Bidhan Chandra Krishi Viswavidyalaya, Mohanpur in 1992, and PhD in Plant Pathology (Plant Virology) at Indian Agricultural Research Institute (IARI), New Delhi in 1997. He has been involved in doing research in plant research during last 24 years and teaching and guiding MSc. and PhD students in Plant Virology. He did his Post Doctorate in advanced molecular plant virology in University of Florida, Gainesville, USA during 2002-2004. He has also worked in Central Research Institute for Dryland Agriculture (CRIDA), Hyderabad as Scientist and IARI-Regional Station, Kalimpong as Senior Scientist and In-charge. He has been awarded the Prof. M. J. Narashimhan Academic Award by Indian Phytopathological Society (IPS), New Delhi (1999); FPSI (Fellow of IPS) (2012), New Delhi; SPPS Meritorious Scientist Award by Society of Plant Protection Society, New Delhi (2010); Shiksha Ratan Puraskar, India International Friendship Society, New Delhi ((2011); Editor (Plant Virology) (2014), IPS, New Delhi. He has published 40 research papers, 10 book chapters, one training manuals, 41 research abstracts in National and International Symposia, and attended 23 National and International Symposia.